Kamaz driver Eduard Nikolaev has wrapped up back-to-back Dakar Rally victories in the truck category. Beating Maz's Siarhei Viazovich by almost four hours, Nikolaev took his third Dakar title, while his Kamaz team now has 14 wins from the last 18 editions of the event. The only driver among Kamaz's four-strong factory outfit to avoid major time losses in the opening stages of the 2018 marathon, Nikolaev was the rally's leader for all but two days. Despite this, he had to withstand a surprise late challenge from De Rooy Iveco driver Federico Villagra, who had briefly taken the lead and was then just one second behind the Russian with two stages left. However, the Argentine's victory bid was suddenly derailed by a gearbox failure on the penultimate day, allowing Nikolaev a comfortable run to the finish line of the event. 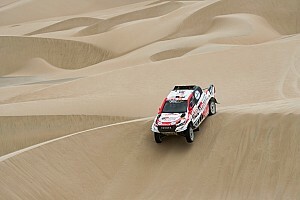 Villagra's retirement promoted Viazovich to second place, the Belorussian going on to secure his maiden Dakar podium. 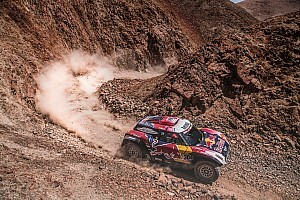 Nikolaev's Kamaz teammate Ayrat Mardeev, himself a former Dakar champion, made up the top three despite finishing more than five hours off the winner. Victory in the final stage, meanwhile, went to De Rooy Iveco driver Ton van Genugten, who brought his event total up to a field-high four stage wins.